Commodity Consulting and Marketing Services 866-334-9779 Yates City, Ill. Are You the Gatekeeper to Your. 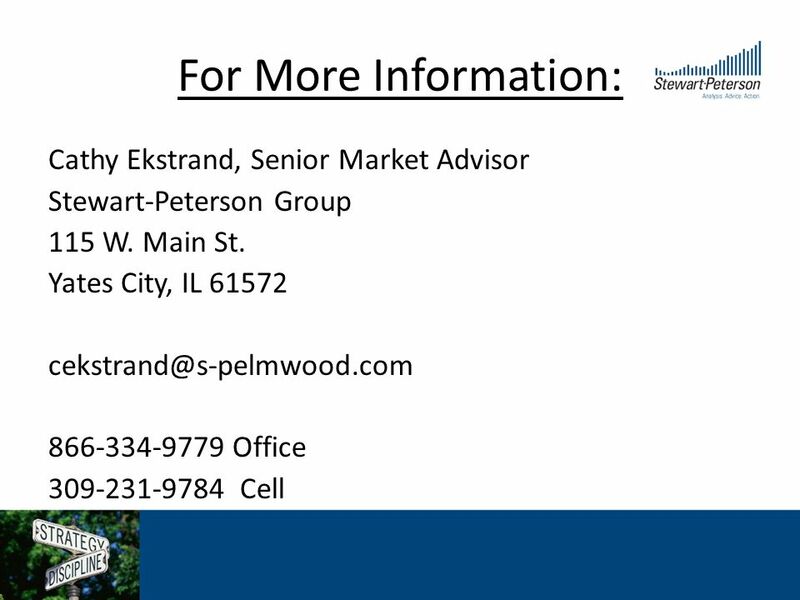 1 Commodity Consulting and Marketing Services 866-334-9779 cekstrand@s-pelmwood.com www.stewart-peterson.com Yates City, Ill. Are You the Gatekeeper to Your Farms Financial Future? 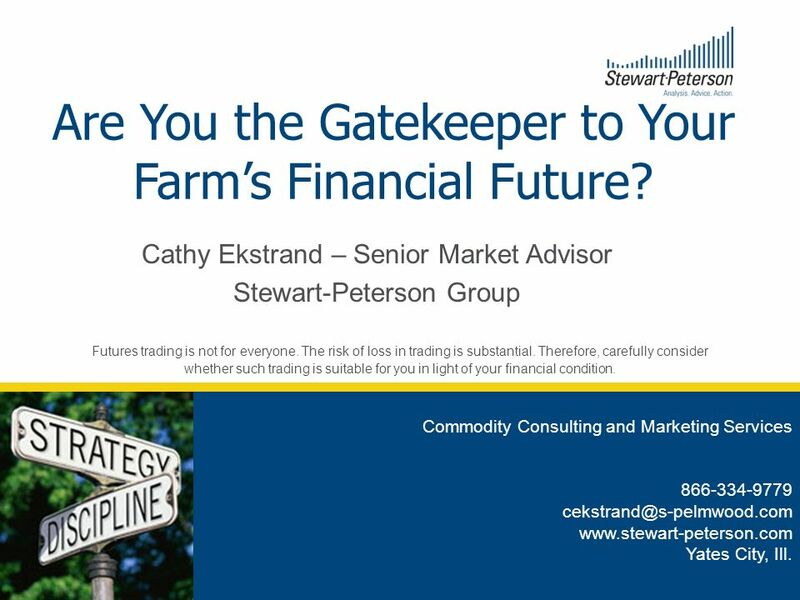 Cathy Ekstrand – Senior Market Advisor Stewart-Peterson Group Futures trading is not for everyone. The risk of loss in trading is substantial. Therefore, carefully consider whether such trading is suitable for you in light of your financial condition. 2 Disclaimer: Futures trading is not for everyone. The risk of loss in trading is substantial. Therefore, carefully consider whether such trading is suitable for you in light of your financial condition. 3 Why Marketing? 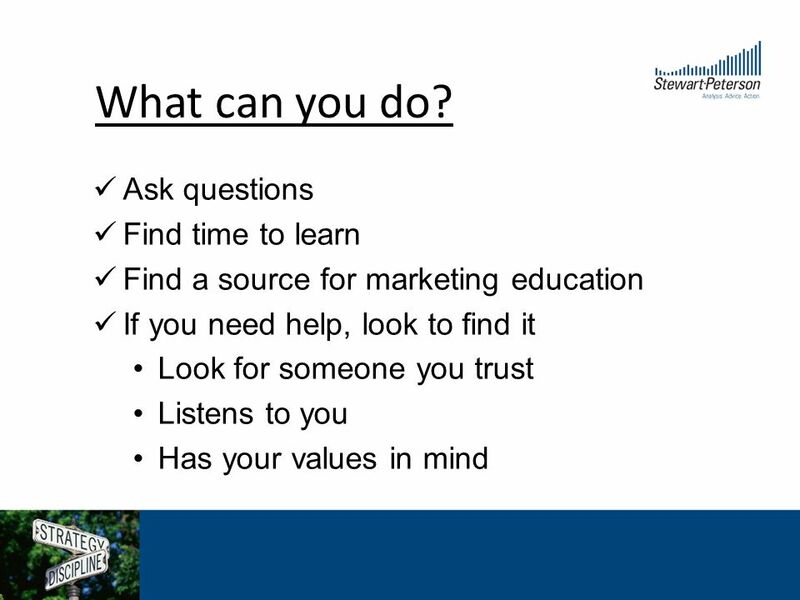 Questions to ask yourself… Do you help with marketing? Why or why not? 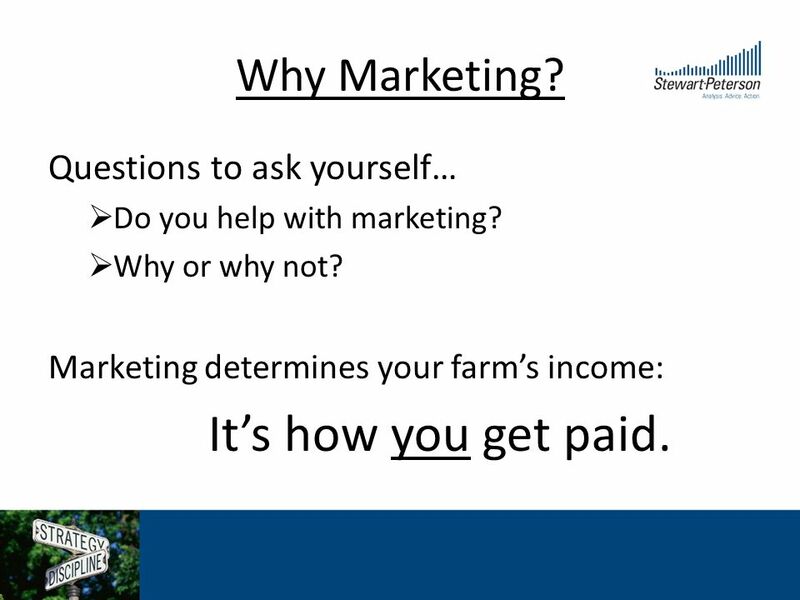 Marketing determines your farms income: Its how you get paid. 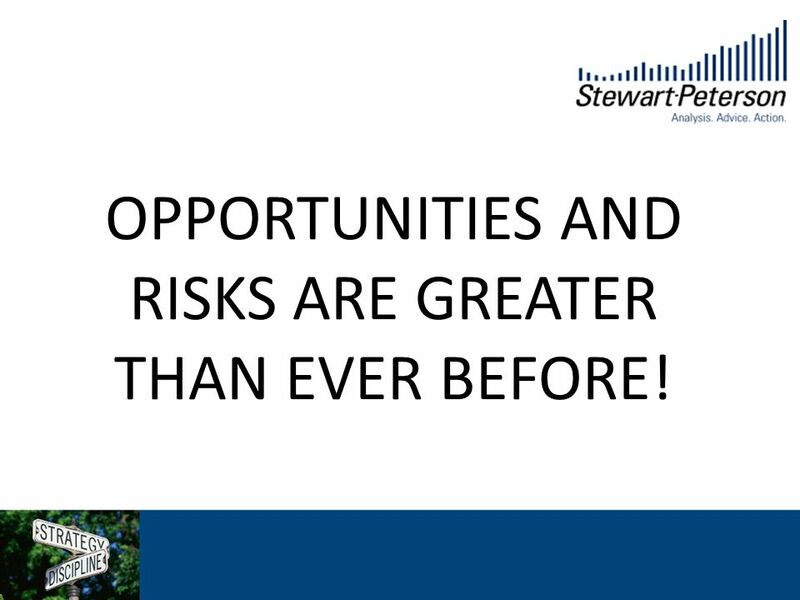 4 OPPORTUNITIES AND RISKS ARE GREATER THAN EVER BEFORE! 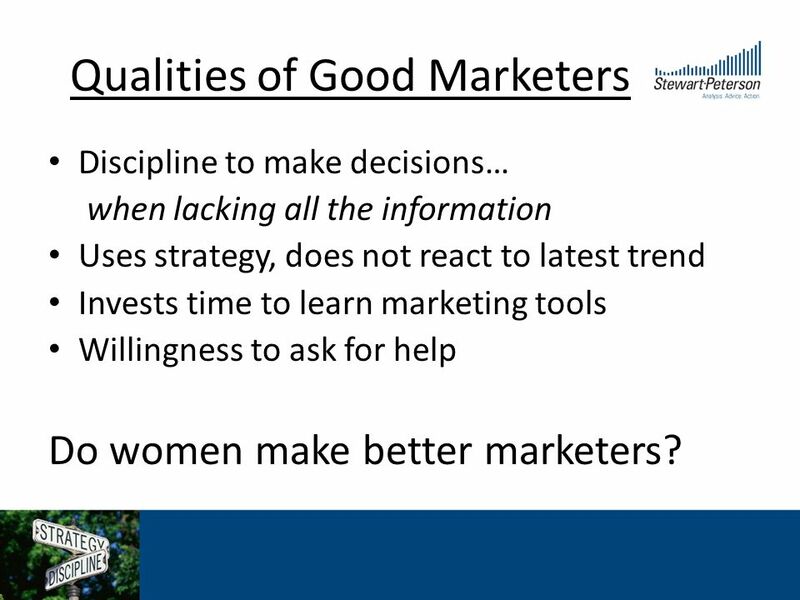 9 Qualities of Good Marketers Discipline to make decisions… when lacking all the information Uses strategy, does not react to latest trend Invests time to learn marketing tools Willingness to ask for help Do women make better marketers? 12 Hedging Selling or buying of futures or options contracts as protection against the risk of loss due to changing prices in the cash market and serves as a substitute for selling or buying a commodity in the future. – A hedge provides a way to lock in a price floor or ceiling for what you plan to do in cash market in the future. – Always correlate hedging with your cash product. 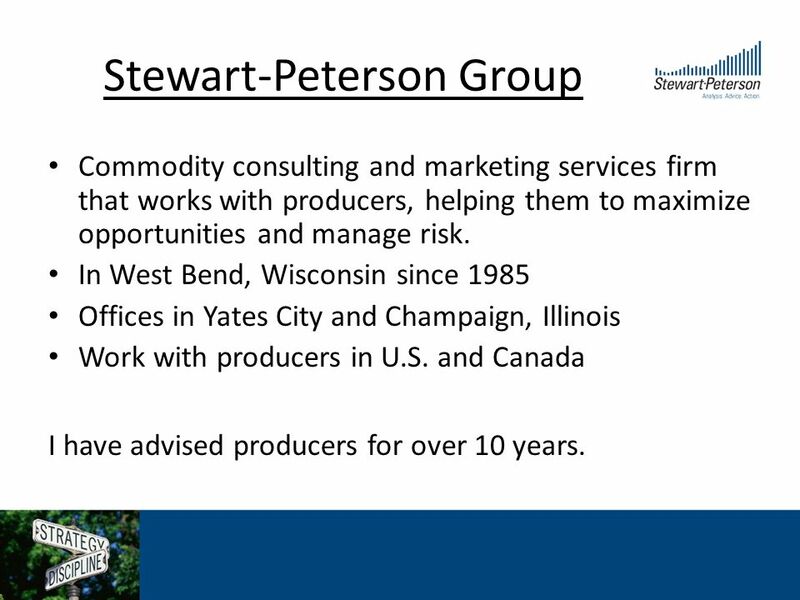 16 Stewart-Peterson Group Commodity consulting and marketing services firm that works with producers, helping them to maximize opportunities and manage risk. In West Bend, Wisconsin since 1985 Offices in Yates City and Champaign, Illinois Work with producers in U.S. and Canada I have advised producers for over 10 years. 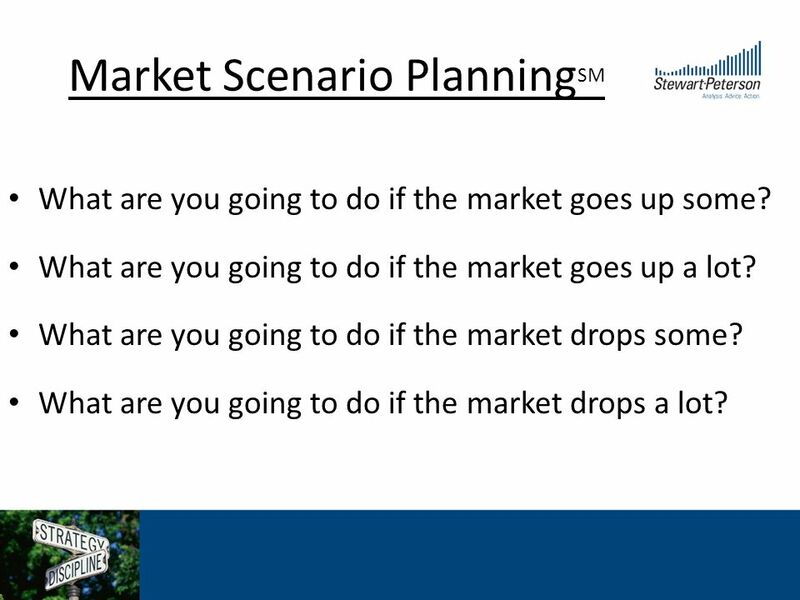 17 Market Scenario Planning SM What are you going to do if the market goes up some? What are you going to do if the market goes up a lot? What are you going to do if the market drops some? What are you going to do if the market drops a lot? 19 Whats happening now? Corn this year vs. last Acres report due out March 30 th Back-to-back short crop years – high prices This year, should projected corn acres get planted and have a trend line yield, prices could fall – a lot. 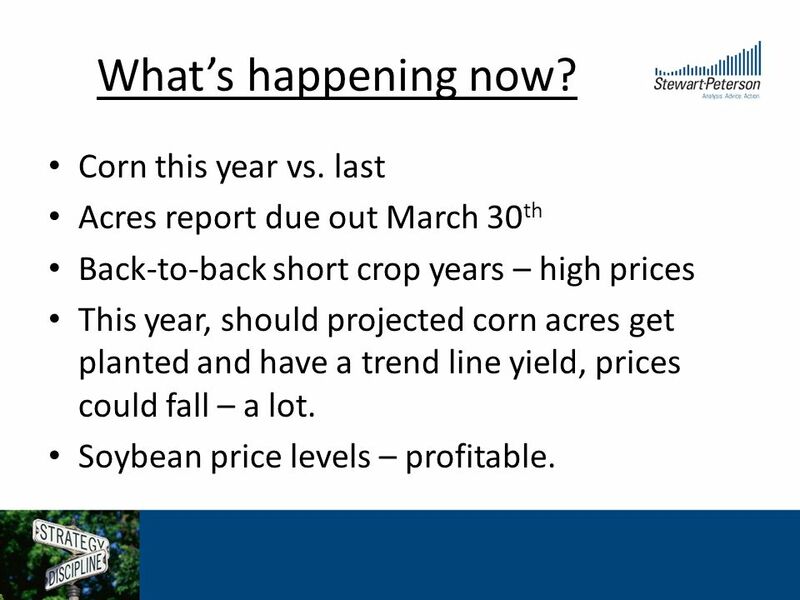 Soybean price levels – profitable. 20 What to consider? 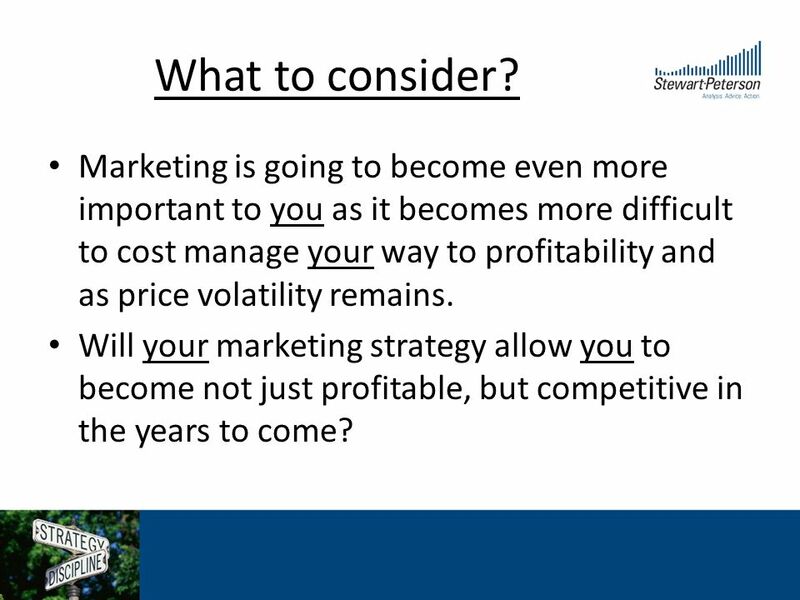 Marketing is going to become even more important to you as it becomes more difficult to cost manage your way to profitability and as price volatility remains. 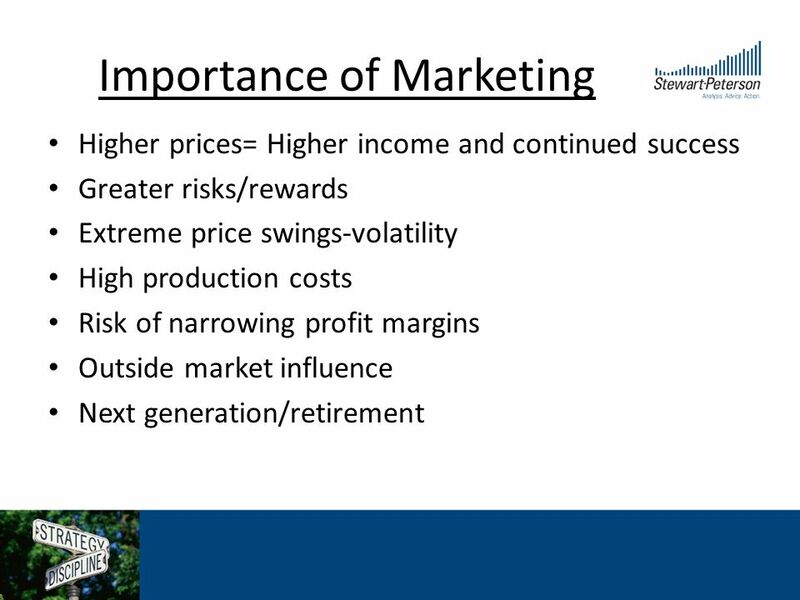 Will your marketing strategy allow you to become not just profitable, but competitive in the years to come? 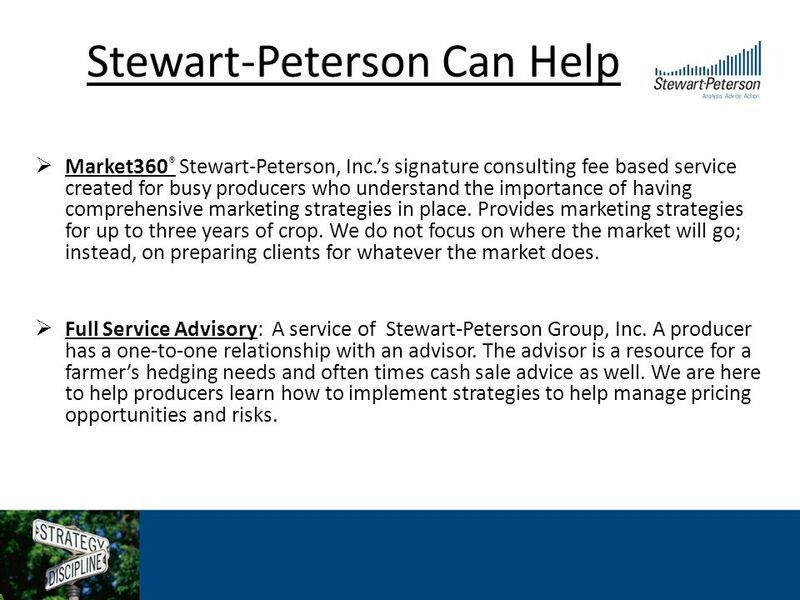 22 Stewart-Peterson Can Help Market360 ® Stewart-Peterson, Inc.s signature consulting fee based service created for busy producers who understand the importance of having comprehensive marketing strategies in place. 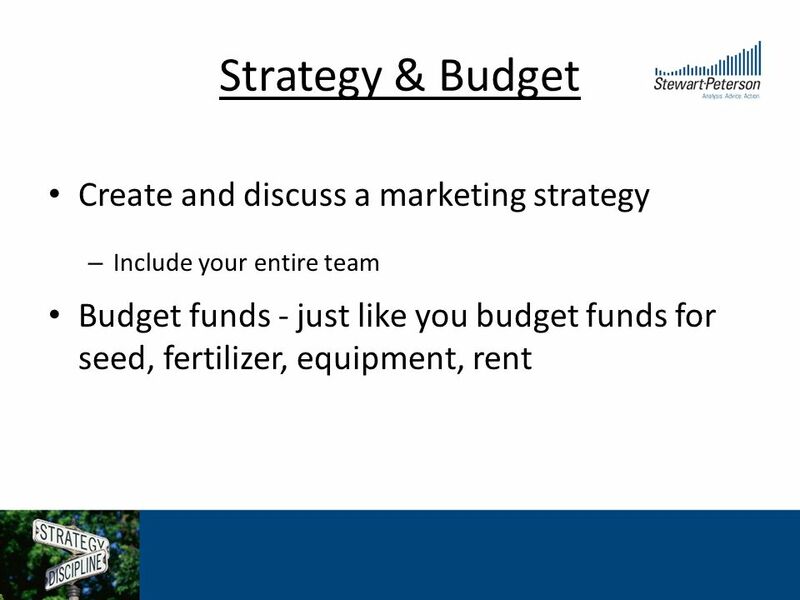 Provides marketing strategies for up to three years of crop. 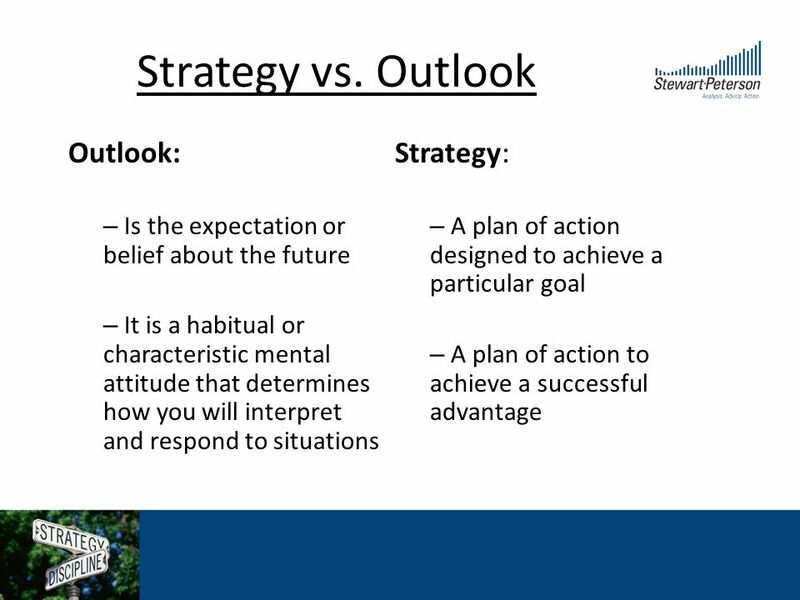 We do not focus on where the market will go; instead, on preparing clients for whatever the market does. Full Service Advisory: A service of Stewart-Peterson Group, Inc. A producer has a one-to-one relationship with an advisor. The advisor is a resource for a farmers hedging needs and often times cash sale advice as well. 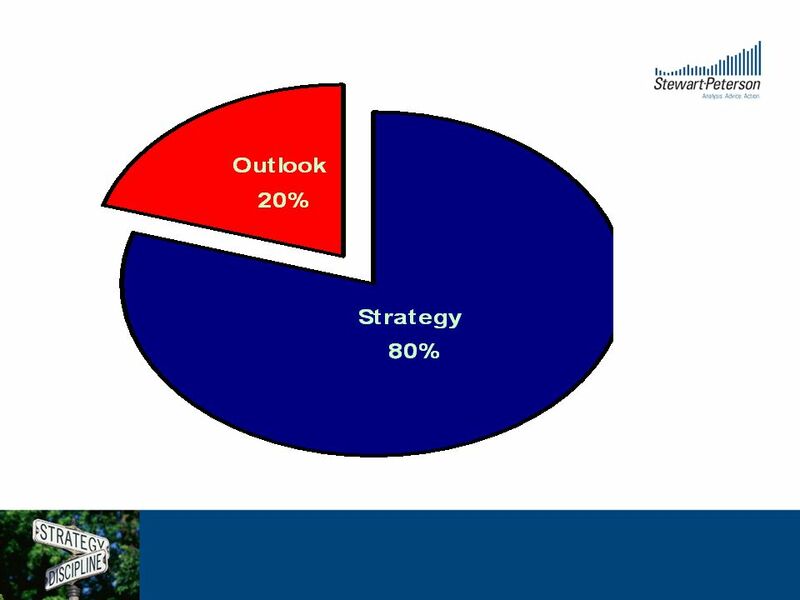 We are here to help producers learn how to implement strategies to help manage pricing opportunities and risks. 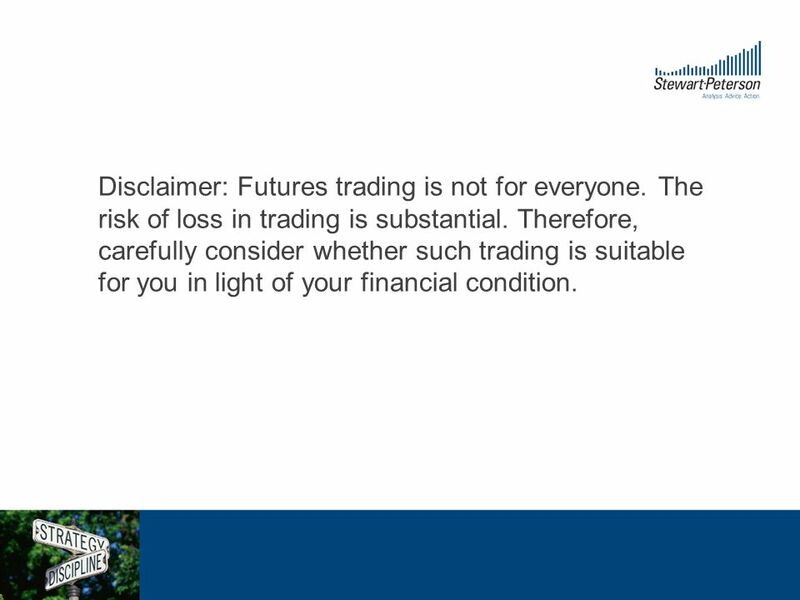 24 Disclaimer: Futures trading is not for everyone. The risk of loss in trading is substantial. Therefore, carefully consider whether such trading is suitable for you in light of your financial condition. 25 If you would like more information about how you can get started marketing well, contact us for more free resources. 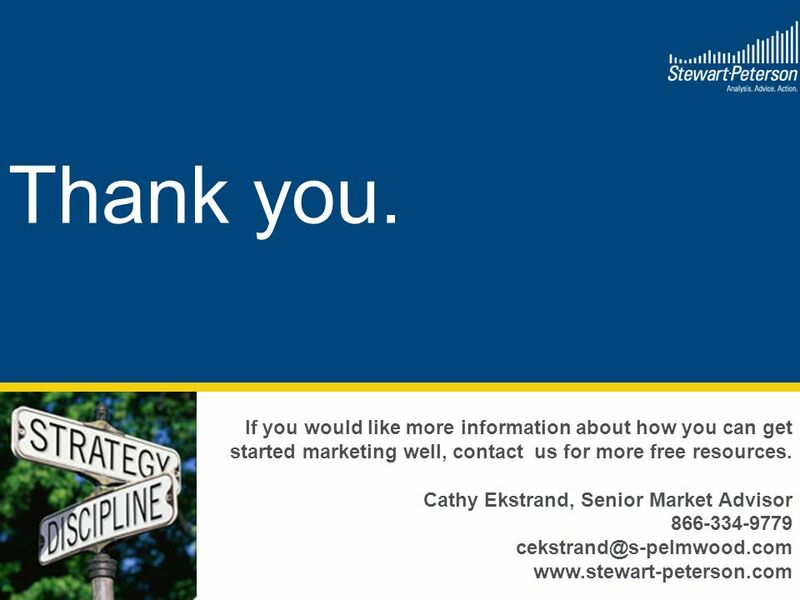 Cathy Ekstrand, Senior Market Advisor 866-334-9779 cekstrand@s-pelmwood.com www.stewart-peterson.com Thank you. 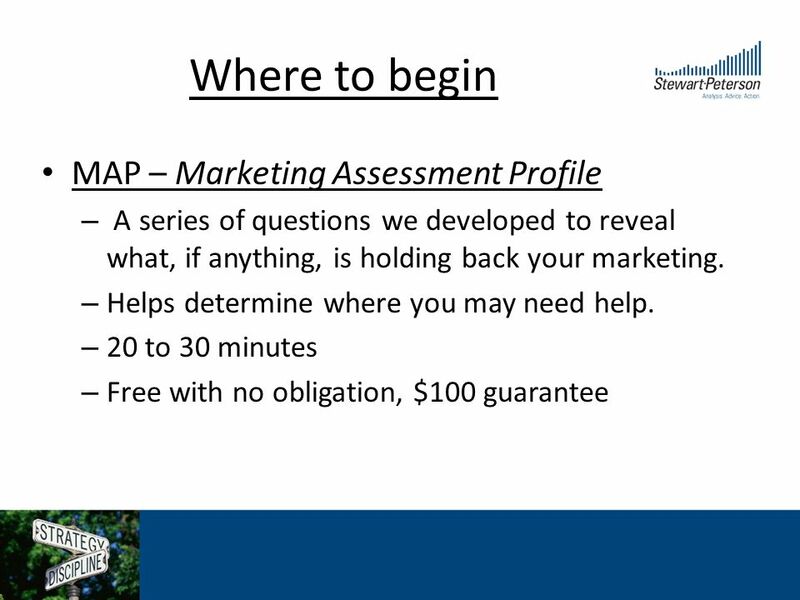 Download ppt "Commodity Consulting and Marketing Services 866-334-9779 Yates City, Ill. Are You the Gatekeeper to Your." 2008 K-State Risk Assessed Marketing Workshops Grain Marketing Basics: Cash Grain Basis, Forward Contracts, Futures & Options Dr. Daniel M. OBrien Extension. 2008 K-State Risk Assessed Marketing Workshops Grain Marketing Principles & Tools Cash Grain Basis, Forward Contracts, Futures & Options Dr. Daniel M.
Managing Commodity Price Risk with Futures & Options. 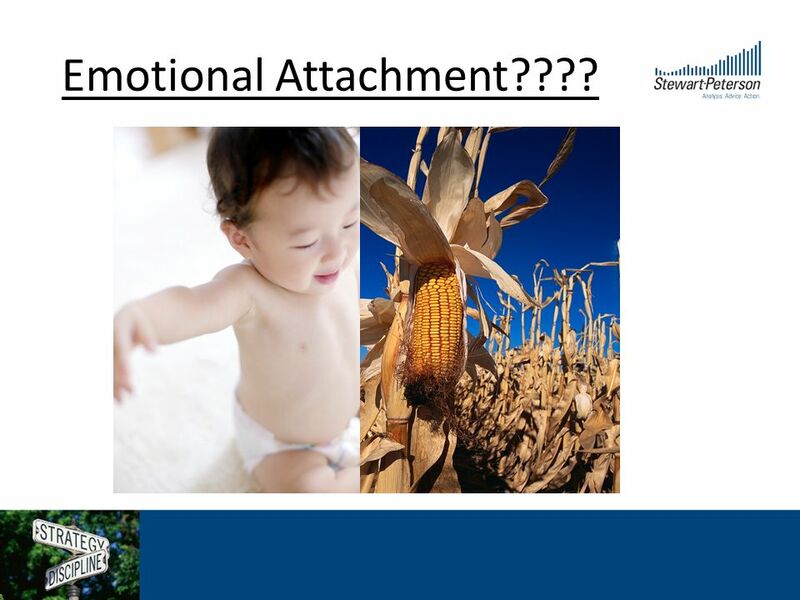 Farmland Values and Leasing Key Questions Chapter 20 §What determines the value of farmland? §What are the advantages and disadvantages of owning vs. leasing? COMMODITY OUTLOOK 2012 RANDALL LOWRY LEIS FEEDS MILVERTON, FEB 1, 2012. 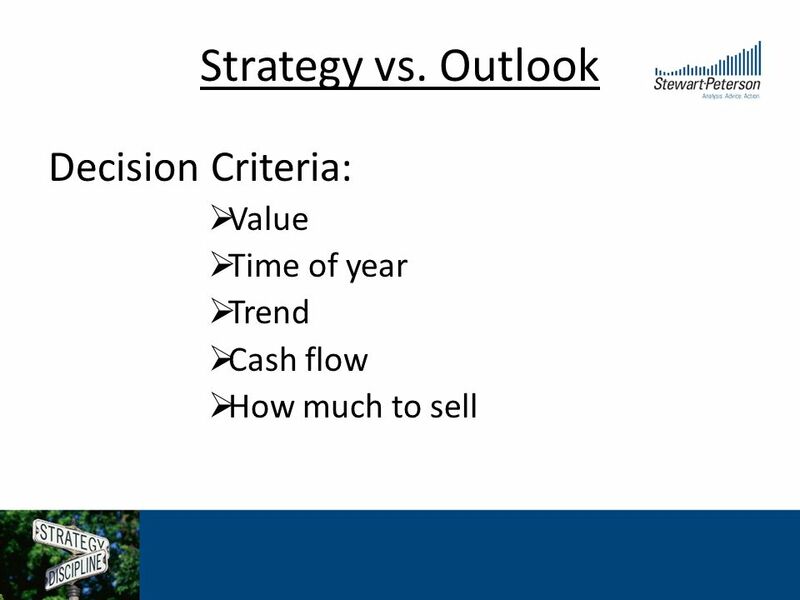 Options Strategies Commodity Marketing Activity Chapter #6. 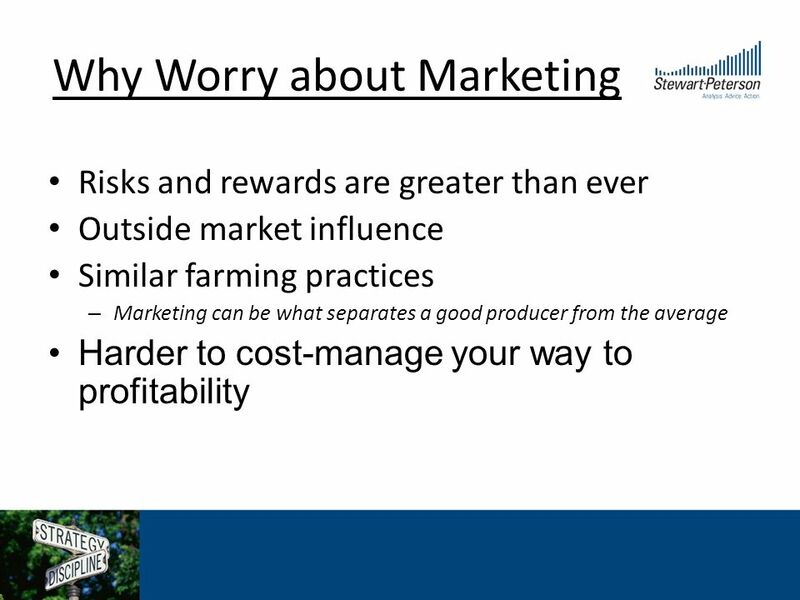 Marketing Ag Commodities, Thoughts For The Rest Of 2013 Rodney Jones Oklahoma Farm Credit Professor of Finance t.
Marketing Ag Commodities, Grain and Cattle Considerations Rodney Jones Oklahoma Farm Credit Professor of Ag Finance. Black-Scholes Energy, Inc. Eunice Chin, Cecilia Shi, Namgu Kim, Sebastian Sotelo FINC Fall 2013: Derivatives & Financial Markets Final Project. Price Risk Management Jim Dunn Penn State University. McGraw-Hill/Irwin © 2008 The McGraw-Hill Companies, Inc., All Rights Reserved. 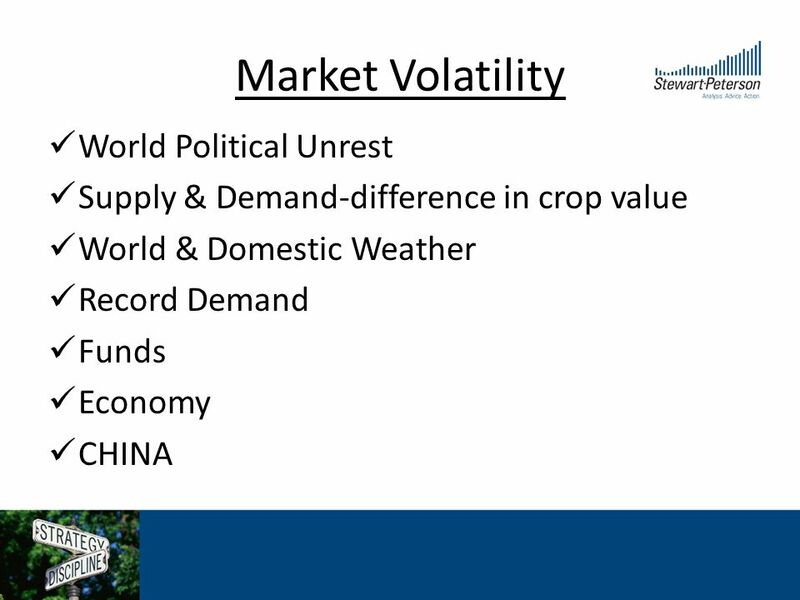 Futures Markets and Risk Management CHAPTER 17. The search for income in a low interest rate world J.P. Morgan Investment Academy Series Accessible investment education from a trusted source FOR INSTITUTIONAL. Selling Hedge with Futures. What is a Hedge?  A selling hedge involves taking a position in the futures market that is equal and opposite to the position. 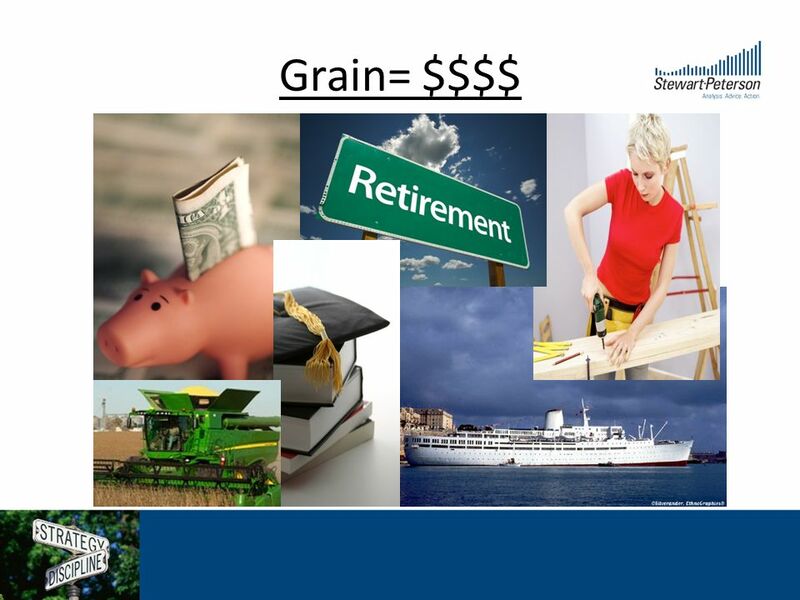 CME Group and Informa Economics May 16, 2013 Pan American Grain and Oilseed Conference. Lecture 4. Companies have risk Manufacturing Risk - variable costs Financial Risk - Interest rate changes Goal - Eliminate risk HOW? 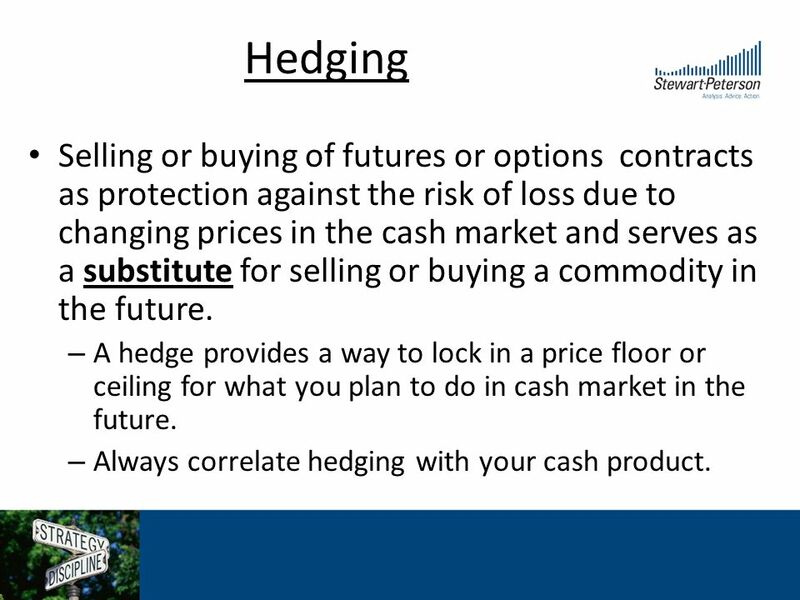 Hedging & Futures. Welcome to MnR Capital MANAGEMENT Family. Wealth Management Equity Derivatives Debentures Currencies Bonds Commodities Mutual Funds Insurance Fixed Deposits.